‘Mad Max: Fury Road’ is meeting Clint Eastwood’s acclaimed Spaghetti Westerns, as the survivors of American society’s latest devastating environmental collapse are still struggling to survive in the new sci-fi movie, ‘Scorched Earth.’ In honor of the action film’s distribution in theaters and On Demand and Digital HD this past Friday, February 2, by Cinedigm, Shockya is premiering an exclusive clip from the drama, which is titled ‘Two Ways to Do This.’ The video features the movie’s main star, Gina Carano, as her bounty hunter protagonist relentlessly works to stop her latest target from killing innocent people for her own gain during the apocalypse. ‘Scorched Earth’ was directed by ‘Sliding Doors’ and ‘Laws of Attraction’ helmer, Peter Howitt. In addition to Carano, the film also stars John Hannah and Ryan Robbins. The planet has suffered an environmental collapse; the air became dangerous to breathe, the water became toxic and billions of people died. Generations later, mankind has finally re-established a rudimentary society, in an attempt to pick up the pieces that continue to blister in the sun. Attica Gage (Carano) is a bounty hunter with a chance at the bounty of a lifetime: to bring down the ruthless outlaw, Elijah Jackson. Gage infiltrates Jackson’s gang, and everything is going to plan, until she meets a slave girl who reminds her of her dead sister. With her loyalty to only herself now tested, Gage learns that there might be more to life than just survival. 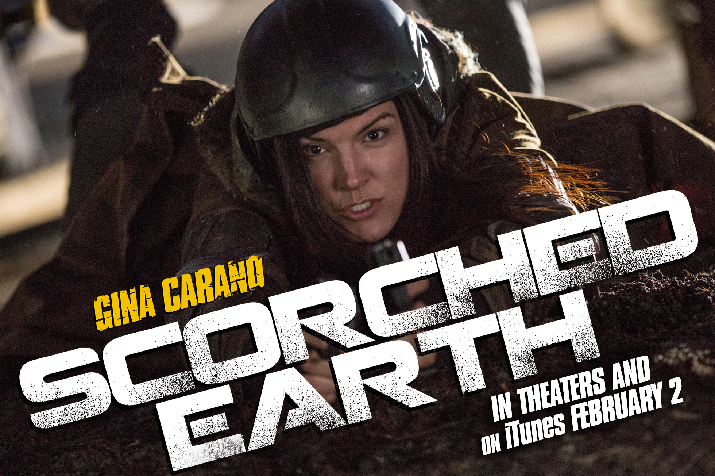 In honor of the theatrical, VOD and Digital HD release of director Peter Howitt's sci-fi action film, 'Scorched Earth,' Shockya is premiering an exclusive clip from the drama, which features actress Gina Carano.